I love this snack! It’s super easy and perfect if you need a last minute Halloween snack for the kiddos. 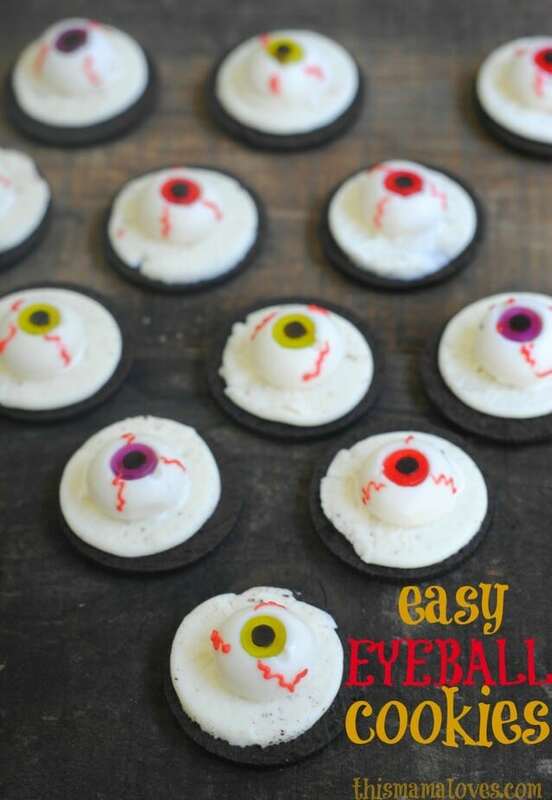 Kids can easily make these Easy Eyeball Cookies themselves so they’d be a really fun party craft/activity/snack too. Happy Halloween! #1. Carefully separate 12 of the black & white sandwich cookies, making sure the white cream stays on half. #2. 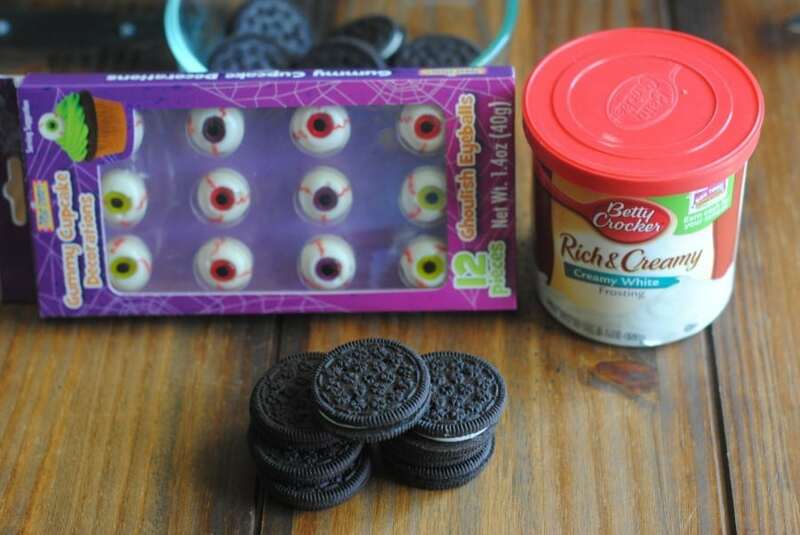 Using a butter knife, spread a little bit of frosting on the back of each eye and place right in the middle of the white cream on the cookie. #3. Repeat with all the eyeballs and cookies. Those are some creepy cookies! I could make them and put them on a platter, but I don’t think I could bring myself to eat one–LOL! Thanks for the spooky fun idea.